Florida tops the list as the most popular retirement destination according to the visitors to 55Places.com. Each year many organizations conduct their own studies of the most popular retirement states. Looking back at our own statistics for the last year, it’s interesting to see which states have been the most popular with new visitors to 55Places.com. The following top ten list reflects the states that had the most visitors. Florida often ranks high on lists of popular states for retirement and it’s easy to see why. The Sunshine State has a semi-tropical climate with blue skies, hot summers and mild winters. There are fabulous coastal communities along the Gulf of Mexico and the Atlantic Ocean, as well as inland developments close to many exciting attractions. Just a few impressive Florida communities include: The Villages, Solivita and Lely Resort. On the opposite coast, California comes in second with 55Places.com visitors. This sunny state offers a gorgeous climate with diverse environments including coastal gems, mountain retreats and vineyard valleys. Active adult communities cover a range of sizes and styles, including many spectacular resort-style developments, such as Laguna Woods Village, Sun City Palm Desert or Trilogy at La Quinta. Arizona is home to the first modern active adult community, Sun City, as well as numerous age-restricted and age-targeted developments, each with their own fabulous amenities and recreations. The Phoenix area is very popular, with options such as Sun City West, PebbleCreek and Robson Ranch. Retirees can also find impressive communities in Southern Arizona, like Tucson’s SaddleBrooke or those in Green Valley Recreation. 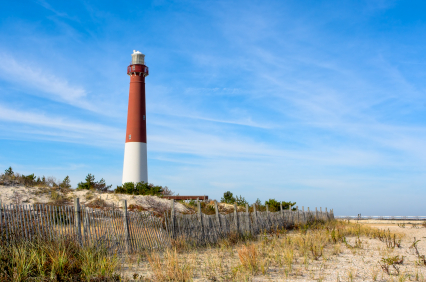 Coastal New Jersey offers wonderful options for active adult living and is a popular retirement destination. While it may not offer a southern climate, New Jersey features a variety of active adult communities which are popular with those who enjoy experiencing all four seasons. Most of the state’s resort-style communities are found along the southern coast in Ocean County, but there are some great options throughout the state. A few popular ones include Rossmoor Village, Greenbriar Oceanaire and Regency at Monroe. For a sunny retirement with hot summers and mild winters, 55Places.com visitors also turn to the Great State of Texas. This southern state has become a recent favorite with retirees and a growing number of active adult communities provide plenty of options. A few fabulous destinations to start your search include Sun City Texas, Frisco Lakes, Del Webb Sweetgrass and Windsor Lakes. Back along the East Coast, the Carolinas also proved to be popular with our visitors. North Carolina took sixth place, while South Carolina came in seventh. Illinois, which features a surprising number of active adult communities, came in eighth place, while ninth and tenth places went to Nevada and Delaware respectively. As 55Places.com continues to grow, we will be expanding into more states to offer information on an even wider range of fabulous active adult communities. What do you think of our current top ten? Did your favorite state make the list? Were there any surprises? Let us know in the comments below.